Participate in the biggest laboratory equipment trade fair in Poland! Why is it worth participating in the EuroLab Trade Fair? 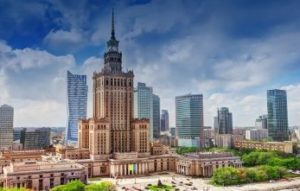 For many years the EuroLab Trade Fair has been supported by the most important scientific centres, research institutes and trade associations in Poland, which guarantees the high quality of the trade fair and of the accompanying events. The EuroLab Trade Fair is not only about business; it also means precious knowledge and the popularization of the most recent scientific advances. Each edition of the event is accompanied by high-quality seminars, conferences and lectures, which gather the industry?s best experts and scientists from all around Poland.